TORONTO, Canada, Oct 5 2012 (IPS) - The banner year for the global cooperative movement is winding down into its last months, but its leaders have echoed a resounding message: cooperatives, a values-based business model, can usher a transition to a more socially responsible economy. This message will be at core of the International Summit of Cooperatives, a gathering of more than 2,000 participants active in the cooperative movement, to take place in Québec City from Oct. 8 to 12. With 2012 designated by the U.N. as the International Year of Cooperatives, Monique Leroux, the CEO of Desjardins, the largest cooperative financial group in Canada, thought it was time to bring her dream of launching a summit into action. Desjardins partnered with the International Alliance of Cooperatives, a non-governmental organisation that advocates on behalf cooperatives, to create a venue where new networks and solutions to propel the movement forward can be forged. The shift to a new paradigm for the economy is now underway, and the time is ripe for cooperatives to demonstrate their value because there is an upswell of disenchantment with the economy as it stands, said Charles Gould, the executive director of IAC. Cooperatives tend to arise in response to an unaddressed need in the community. The core values that underpin the cooperative model – self-help, democracy, equality, equity and solidarity – guide the way decisions are reached, Gould added. The values bear the implication that the interests of the communities served will be factored into any business calculation. In the face of the financial crisis, the cooperative model proved its resilience, because by design the board is accountable to all its members, said Leroux. The one-member, one vote rule means that the interests of the largest shareholders do not trump the rest. “It’s a more sustainable model, it doesn’t take unknown risks because it’s not trying to maximise profit,” said Gould. Gould identified several areas that will help build momentum for the movement, and bolster its profile as a viable alternative to the classic setup of a corporation. For one, cooperatives need new forms of capital to grow that are aligned with their values and design. The summit marks an opportunity for Desjardins and its partners to share their innovations in creating new financial products, credit services designed to reflect the context of the community served, said France Michaud, the communications supervisor at Developpement International Desjardins (DID). Aside from raising capital, cooperatives also have to do a better job at promoting and invoking their identity, making the model and the values it stands for known to the public, Gould noted. Brands like Ocean Spray and Sunkist are household names but are not always tagged as examples of cooperatives. There are several misleading perceptions about cooperatives that downplay their importance in the economy, said Stephanie Guico, the programme coordinator of the Future Leaders Program at the summit. One is the view that they belong to the past, another that they are mainly poor people’s organisations. 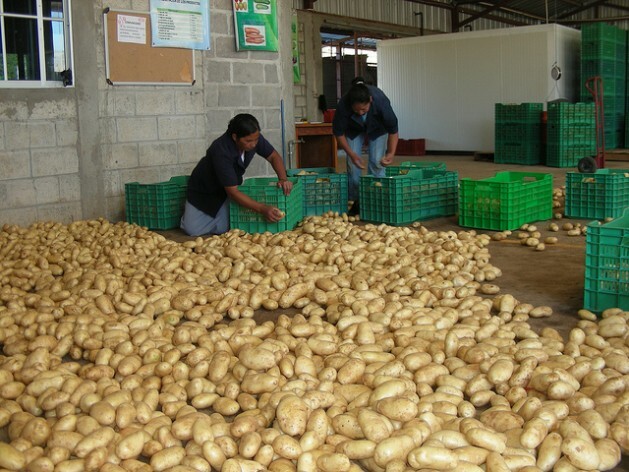 Poverty alleviation is central to the mandate of many cooperatives, but people often don’t realise they are businesses concerned about their sustainability, Guico added. In Quebec, the groundwork for an alternative economy is being sown through a collection of seemingly small efforts led by members of the global cooperative movement, said Laure Waridel, an eco-sociologist, who has been invited to speak at the summit. She cited one local organic farm as an example, because it has opted to subsist with the help of its customers, who are willing to pay an advance for its share of the harvest. Waridel, also recognised as a pioneer who helped bring the fair trade movement to Canada, has been studying the efforts of people in the countryside of Québec to create a sustainable livelihood.